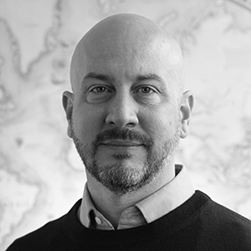 When Research Director Alan Mauldin ventured to Kathmandu to take part in APRICOT 2018 earlier this year, he covered the cadre of new cables—and new diverse paths—coming to the region during his presentation on Asia-Pacific trends. 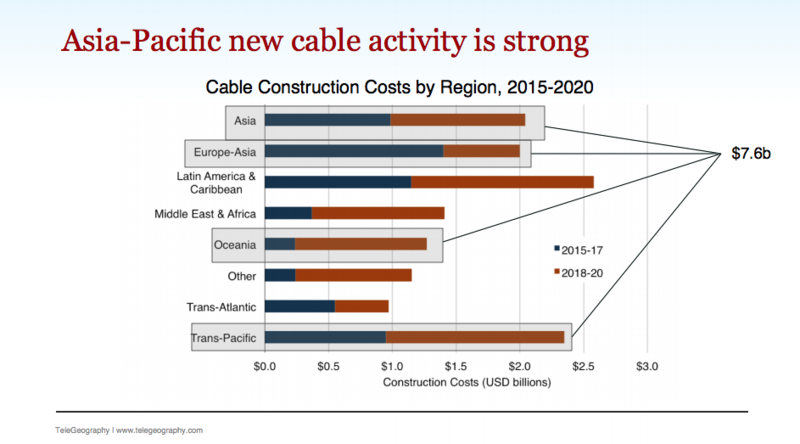 According to Alan, Asia-Pac remains a leader in new cable investment, with $7.6 billion tied to recent and forthcoming cables on routes that touch the region. Examining the lineup of new cables, Alan highlighted more diverse paths that are on the way, using the Australia-Singapore Cable, INDIGO-West, and SEA-US as key examples. These projects all chart a route previously uncovered by a submarine cable. Alan also noted that more direct routes are coming to the region. The Pacific Light Cable Network and the Hong Kong-Americas cables will both connect Hong Kong and Los Angeles with express pairs without any pit stops in Hawaii or Guam. This will mean lower latency as well as a lower equipment cost for this route. There are also locations getting their first cables. Take Palau, which recently joined the cable club thanks to the SEA-US cable. Meanwhile, Micronesia and French Polynesia are looking forward to some additional connectivity thanks to the Chuuk-Pohnpei Cable and NATITUA projects. New cables also signal an increase in privately-owned branches. As content providers drive investment in new projects, we see regional examples like Google's involvement in the FASTER cable or Facebook's and Google's participation in the Pacific Light Cable Network. To learn more about these new cables you can download Alan's slides and watch his full presentation here.